Fill in your details below and we will let you know within 24 hours if we can get Amoeba to you with haste! You’ll need to divide in order to conquer in Amoeba, the tile-laying game that requires you to think strategically and act microscopically. 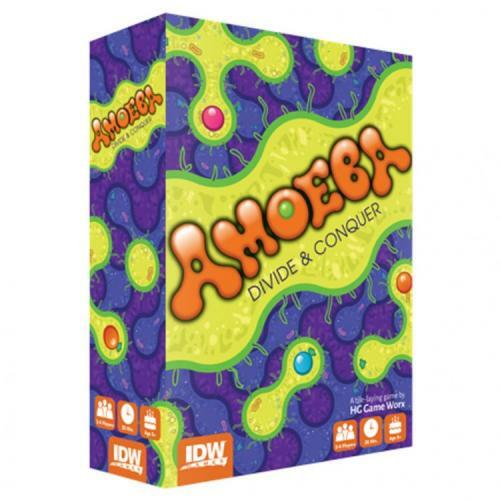 2 - 4 players draw and place tiles in order to build the biggest amoebas. But be careful: your opponents can place tiles on top of your completed amoebas to split them up and hurt your score. After all tiles are played, the player with the biggest amoebas wins!